We had a dream. A dream to build a bounce house so awesome in scale and content that you, your friends and your families would travel from far and wide to marvel at its awesomeness. Holding everything together, from our custom built circular stage in the very center of the Big Bounce structure is our resident DJ/MC. Because while this is definitely a great activity, we also wanted to make it a great party that everyone can enjoy. Your experience will play out to a soundtrack carefully curated by our DJ to reflect the audience at each of our sessions. 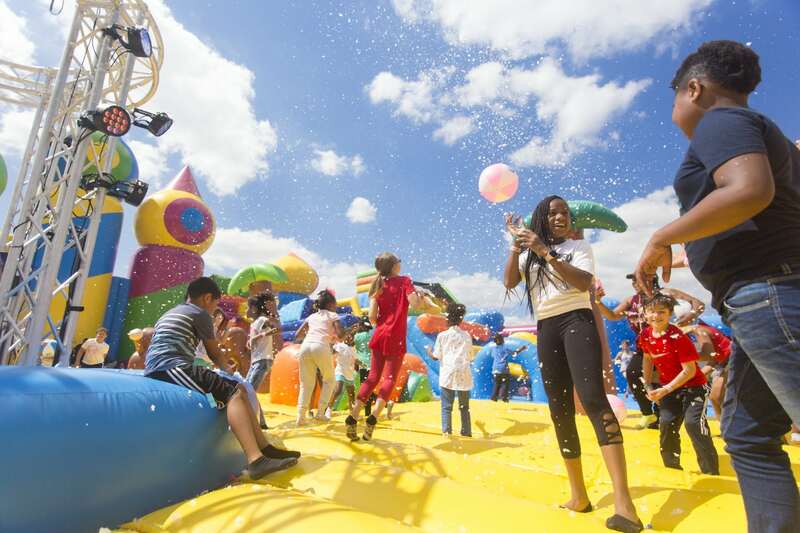 Party-games, interactive fun, confetti blasts and competitions with free giveaways will all be central to the entertainment provided. 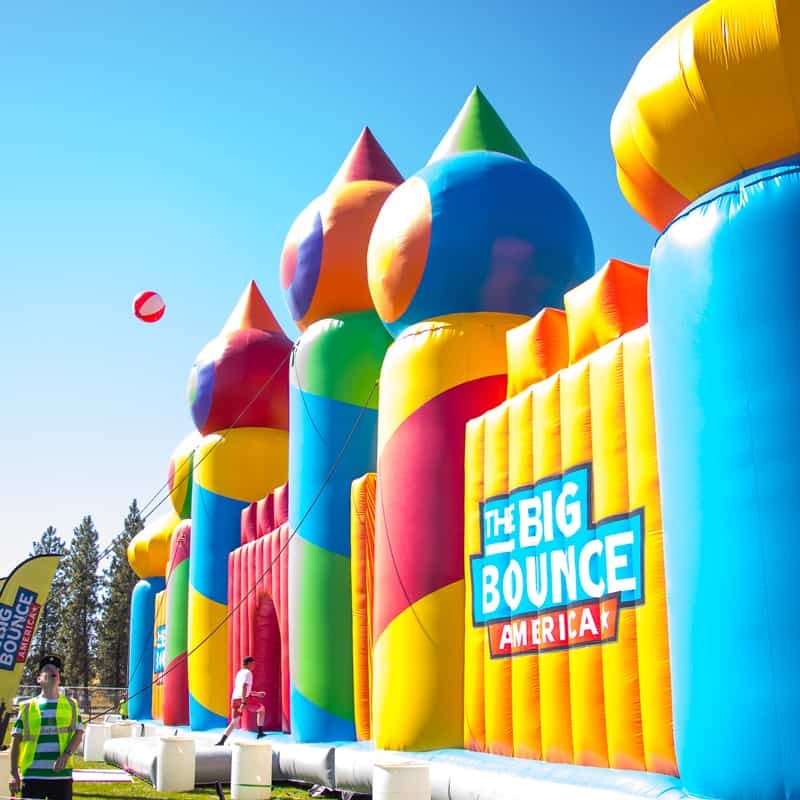 Ever taken part in a dodge-ball competition on a 10,000 square foot bounce house? Ever danced ‘The Wobble’ when it’s wobbly underfoot? Well now you can!